Polar Focus Ultimate Line Array Rigging achieves a complete transition between pro loudspeakers and an architectural structure. Polar Focus Spine Frame Adapter provides precision tilt control to any line array with the common front to back center spine support frame configuration. Also works as a line array extension bar for up to 16 inches of frame extension. 1100 lbs WLL. Other sizes and load ratings available. See our Spine Frame Adapter SFA 16-1100 Datasheet for more complete information. Polar Focus Spine Frame Adapter provides precision tilt control to any line array with the common front to back center spine support frame configuration. Also works as a line array extension bar for up to 16 inches of frame extension. 1550 lbs WLL. Other sizes and load ratings available. 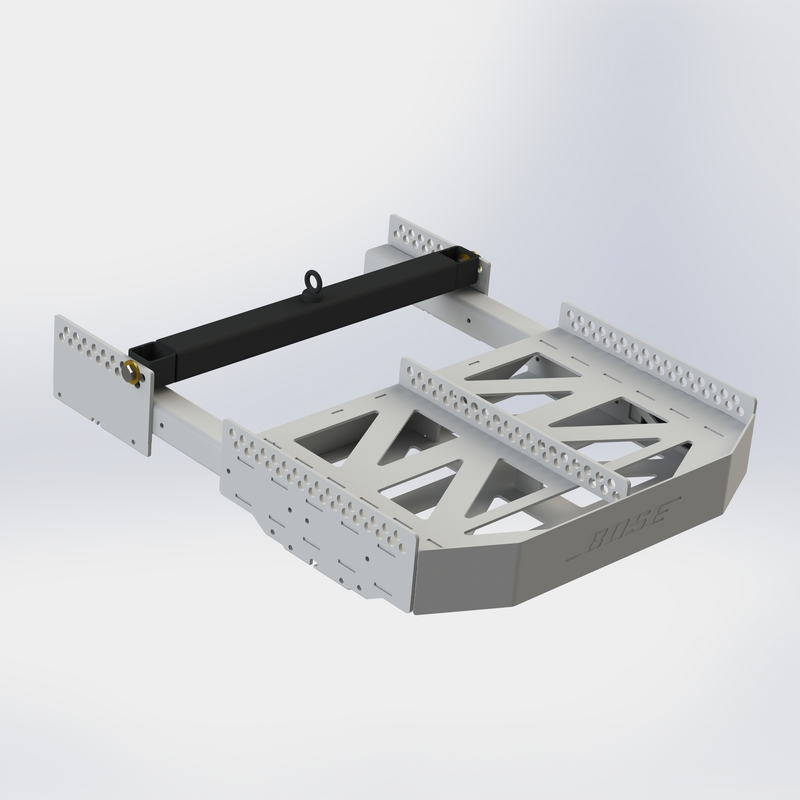 See our Spine Frame Adapter SFA 16-1550 Datasheet for more complete information. Polar Focus Spine Frame Adapter provides precision tilt control to any line array with the common front to back center spine support frame configuration. Also works as a line array extension bar for up to 24 inches of frame extension. 3000 lbs WLL. Other sizes and load ratings available. See our Spine Frame Adapter SFA-24-3000 Datasheet for more complete information. 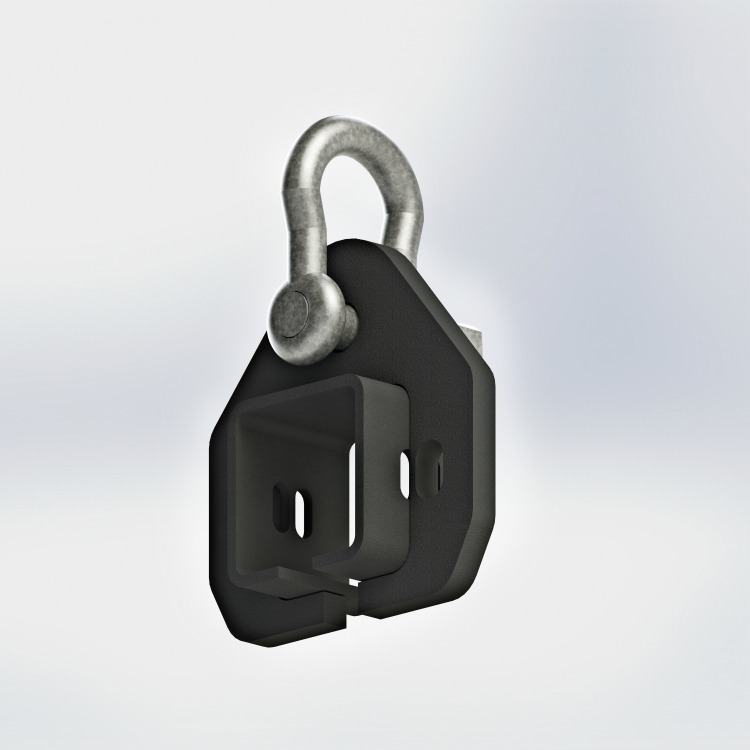 Allows a cluster to be mounted directly to a level steel I-Beam with pan control. Used for level I-beam with vertical loading. Fits I-beams with a flange width from 2.95 to 9.05 inches. Maximum flange thickness is 0.79 inches. WLL = 1100 lbs at 10:1 design factor. Other load capacities available. See our PY1-RBC-1-1100 Datasheet for more complete information. 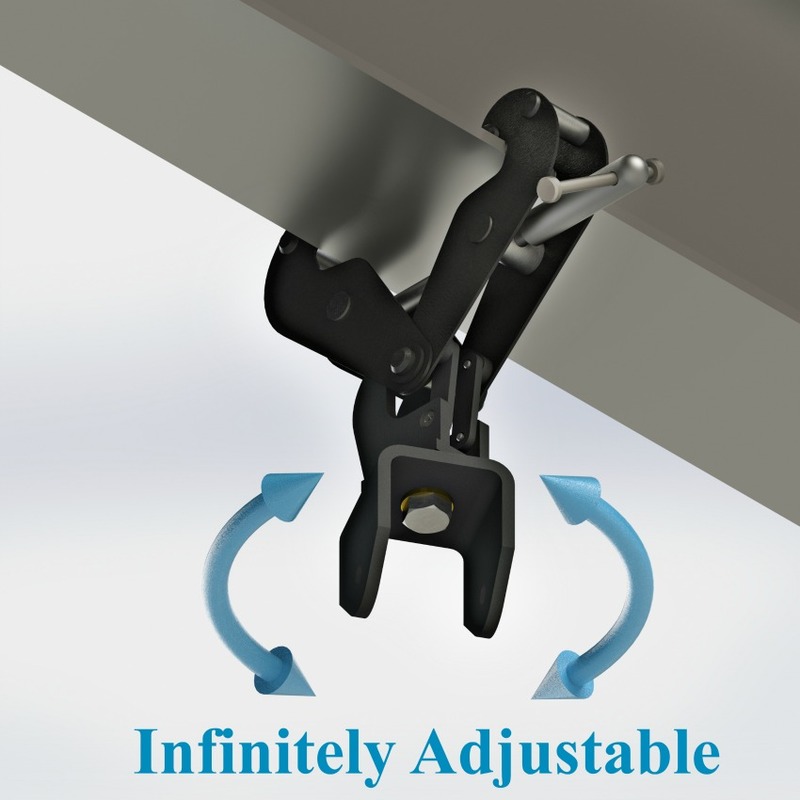 Allows a cluster to be mounted to a level or sloped large wooden or glue-lam beam with pan control. The basic size is perfect for a single trapezoidal speaker or small line array, but it can be scaled up for heavy arrays up to the limit of the wooden beam. 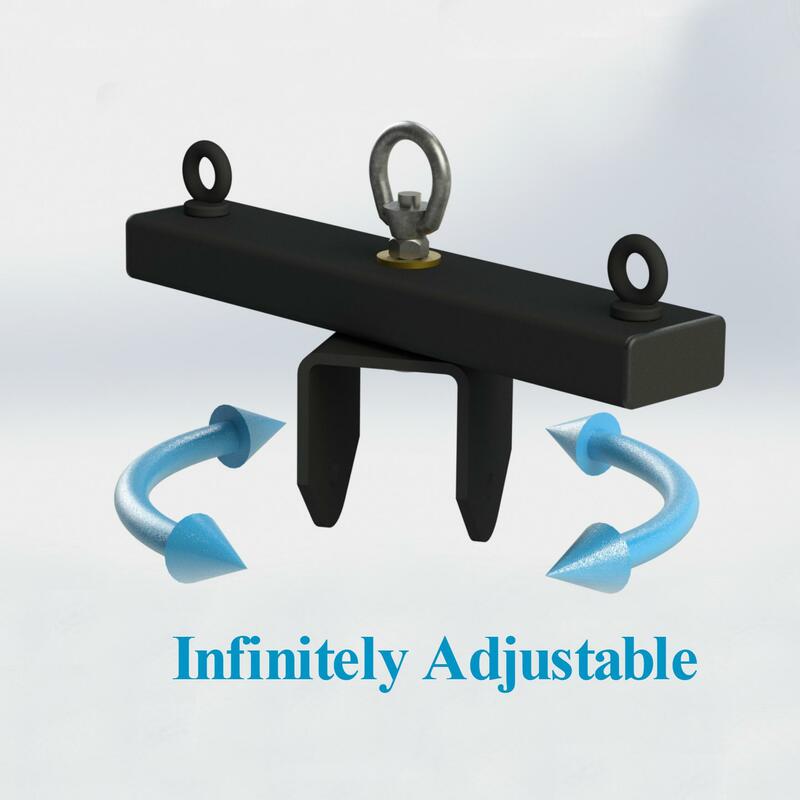 The PY1-CBA-3 includes the fasteners for attachment to the wooden beam. See our PY1-CBA-3 Datasheet for more complete information. 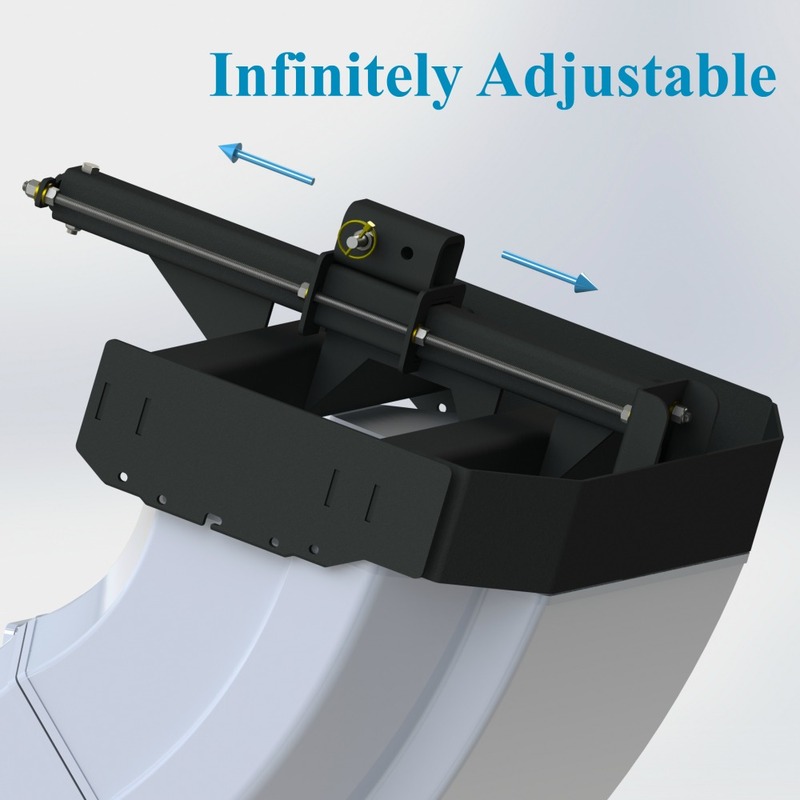 Allows a cluster to be mounted to a rolled large wooden or glue-lam beam with pan control. The basic size is perfect for a single trapezoidal speaker or small line array, but it can be scaled up for heavy arrays up to the limit of the wooden beam. 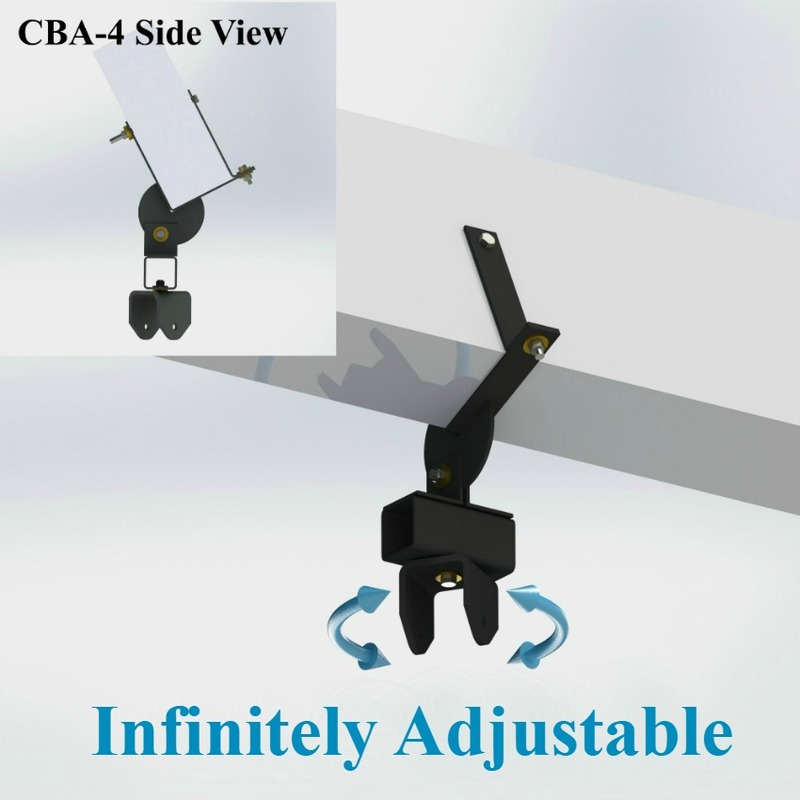 The PY1-CBA-4 includes the fasteners for attachment to the wooden beam. See our PY1-CBA-4 Datasheet for more complete information. PY1 with Box Truss Plate is a component designed to allow for clean and fast attachment of a line array to the end plate of a 12” x 12” truss, or the joint between two 12” x 12” trusses. 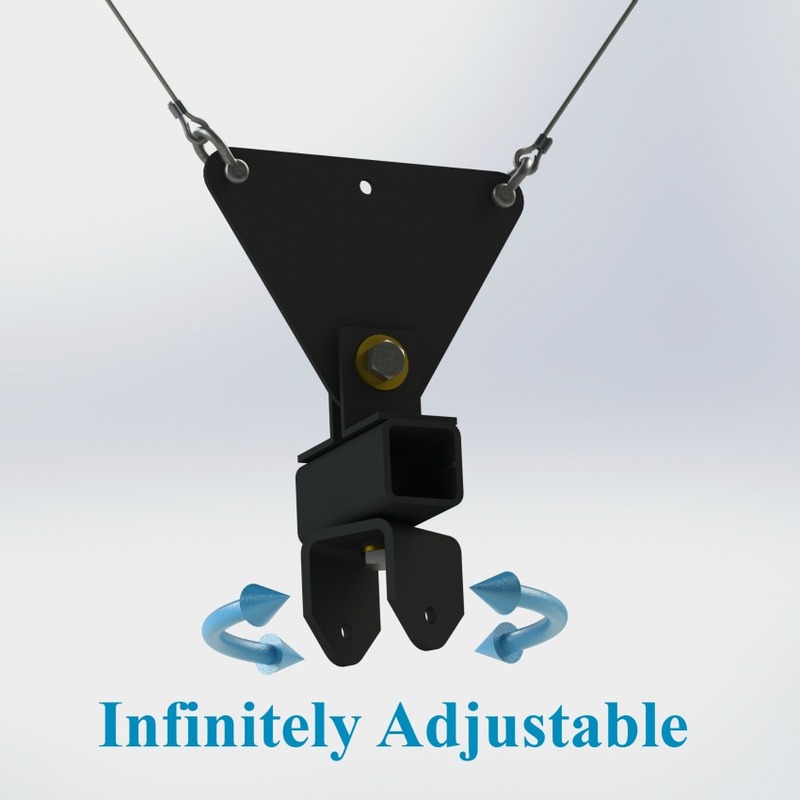 The use of this component eliminates the need for slings and integrates a pan control feature with infinite adjustability. This product may be used at the end of a truss or bolted between two adjoining truss components. See our PY1-BTP1212-1550 Datasheet for more complete information. 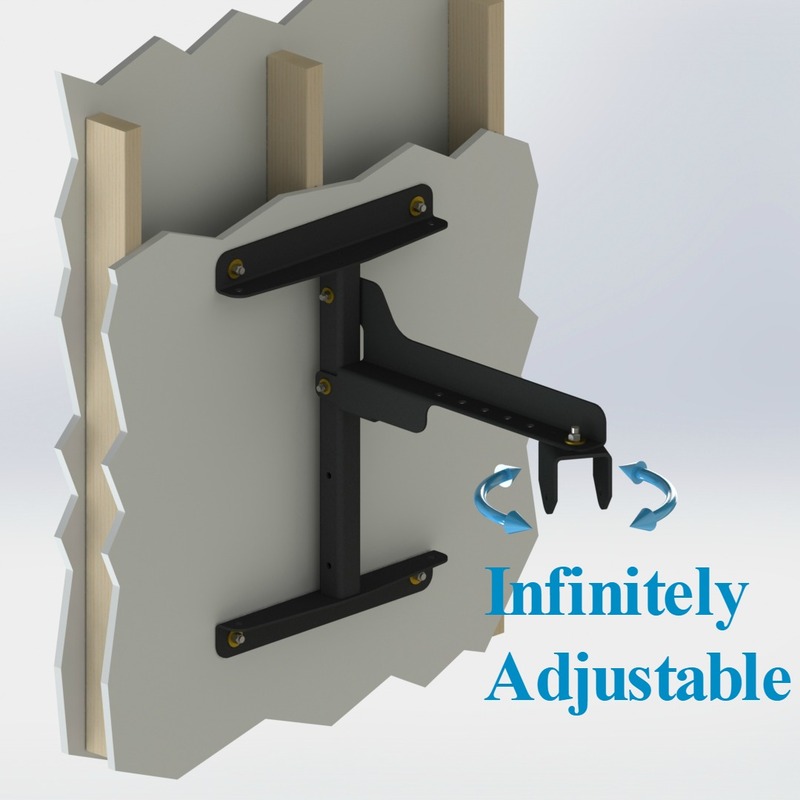 Allows a cluster up to 250 lbs to be mounted from a masonry block wall, load bearing sheetrock wall, or solid concrete wall. Partition walls and walls where the studs do not connect to the roof are not appropriate for this application. Typically used with small line arrays. Working Load Limit of 250 lbs at a 10:1 design factor. Other load capacities available. See our PY0-WMV-2226-250 Datasheet for more complete information. The Polar Focus PY0 universal fitting with Type 5 Custom Beam Attachment for Audio Rigging. 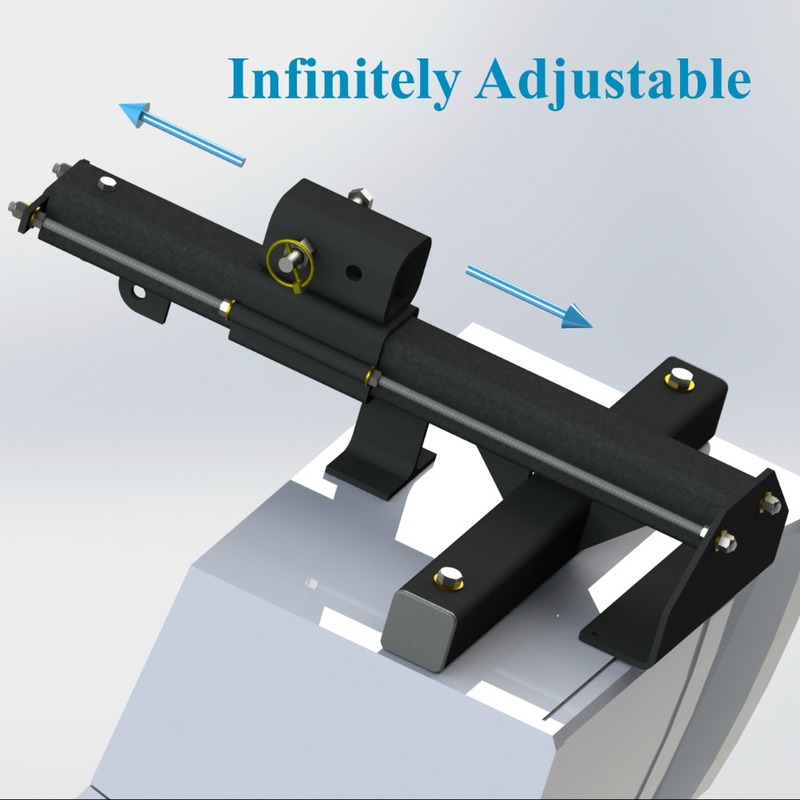 Allows a loudspeaker cluster to be mounted to a large or thick level I-beam, larger than the standard jaw-type beam clamp will allow. Working Load Limit (WLL) of 550 lbs. Other load capacities available upon request. 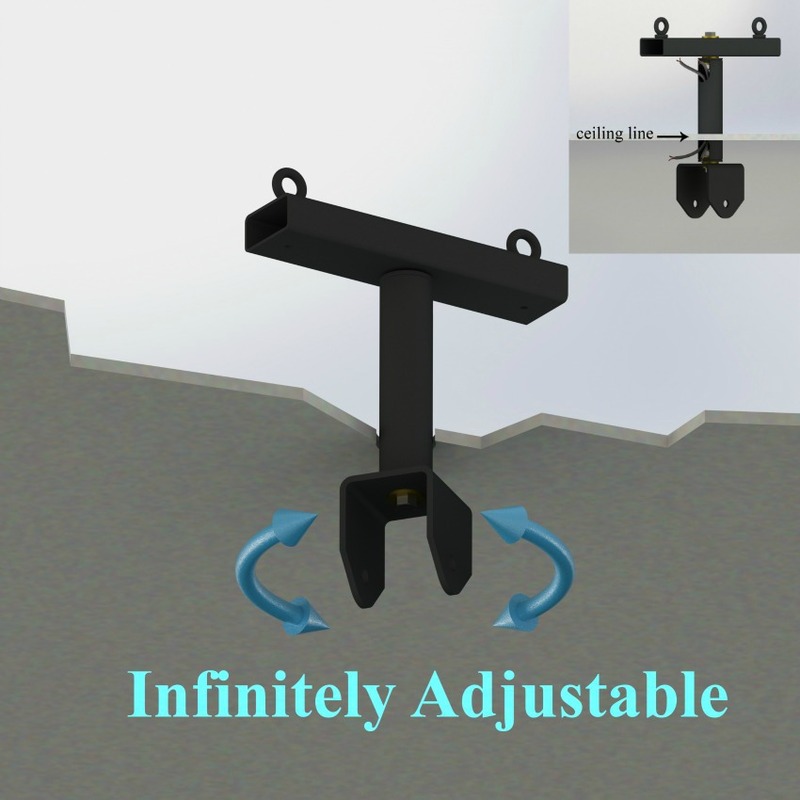 An extension post which allows any cluster to be mounted up to 16 feet below the roof attachment point. The interior of the post has a 2 ½” x 2 ½” cavity which allows speaker signal cable or amplifier power cable to be run through the post. This allows for a super clean installation. 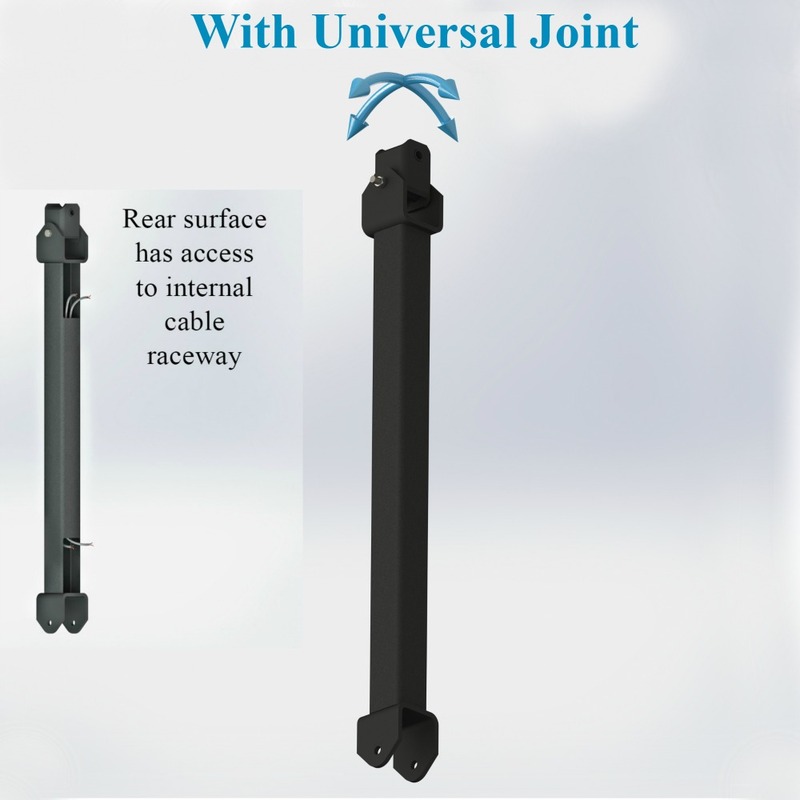 The top of the PY1-UJEXT-POST assembly has a heavy duty rated U-joint. This allows the cluster to move laterally during a seismic event with minimal moments applied to the supporting roof beams. See our PY1-UJEXT-POST Datasheet for more complete information. 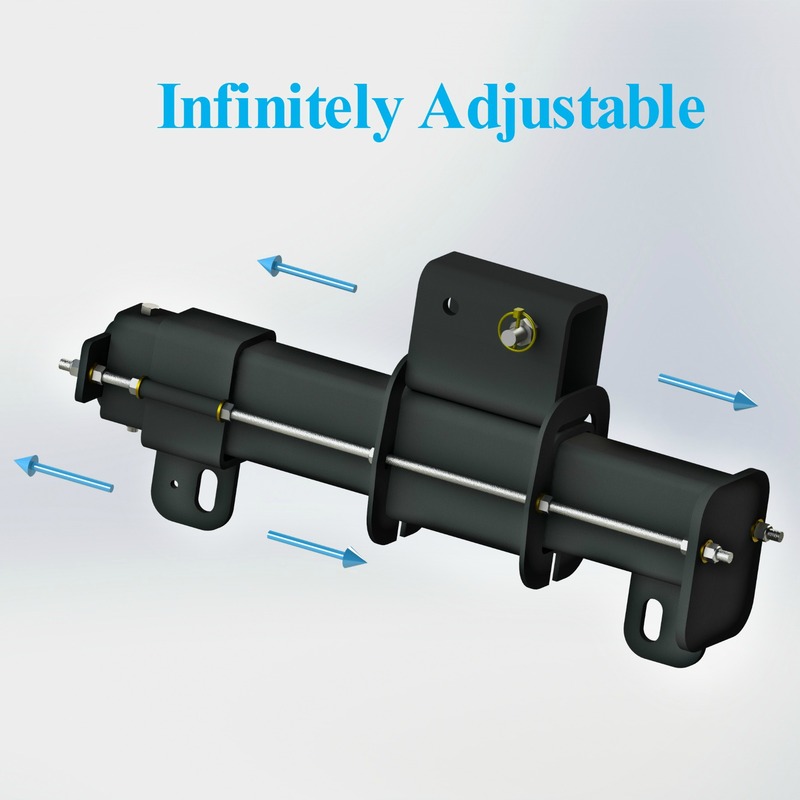 Allows a cluster to be serviceable with up/down motion using only one half ton hoist with a 1 ton load. Other load capacities available. See our PY1-MZB-SR-5 Datasheet for more complete information. 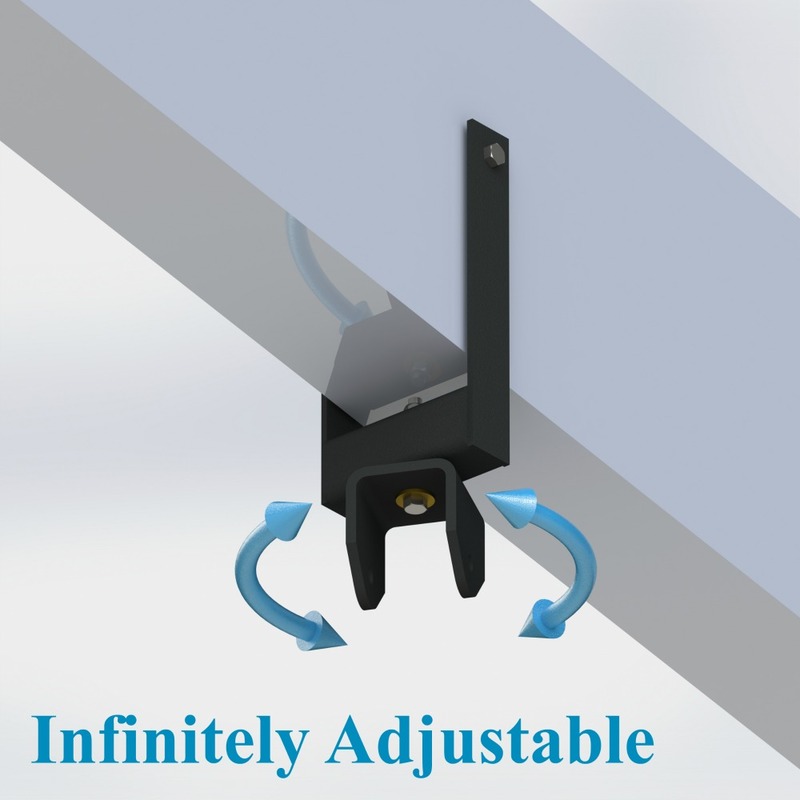 Allows a cluster to be mounted from a stem through a ceiling with speaker cable passing through, with pan control. The hollow characteristic of the Stem component allows the speaker signal wire to be chased through the Stem body, preventing the need for a junction box below the ceiling. See our PY0-STEM Datasheet for more complete information. 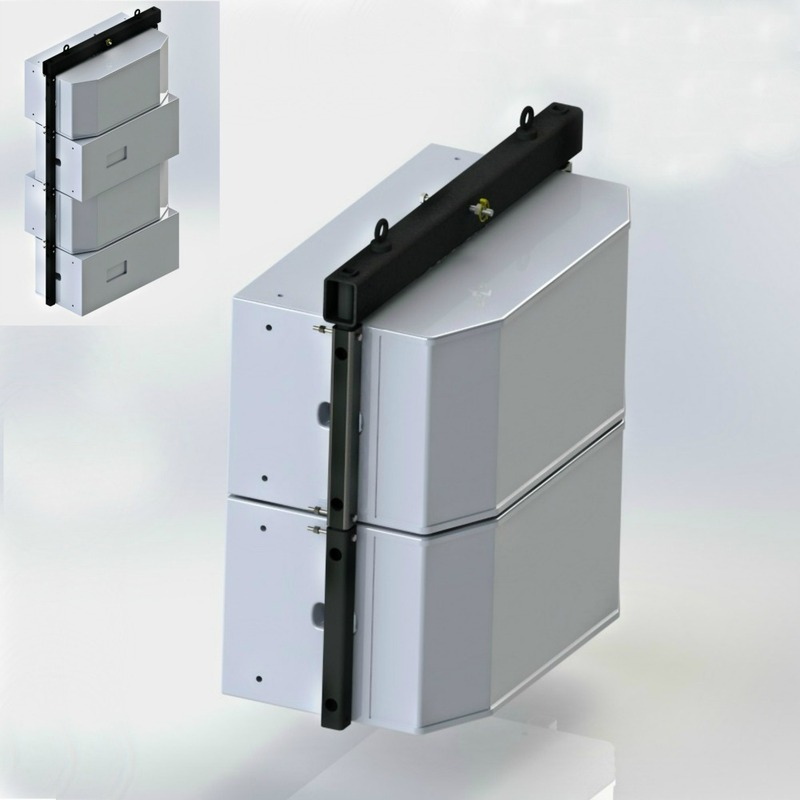 Allows for two point support of a cluster for permanent installations, with a center service pick point, with full pan control. Not for use with two hoists. *If you need to lift your cluster with two chain hoists, you must use the PY1-ZBR, found below. See our PY1-ZBH-1550 Datasheet for more complete information. See our PY0-ZBH-300 Datasheet for more complete information. PY1-Self Leveling Head allows a cluster to be suspended at the apex of a bridle with pan control. See our PY1-SLH Datasheet for more complete information. 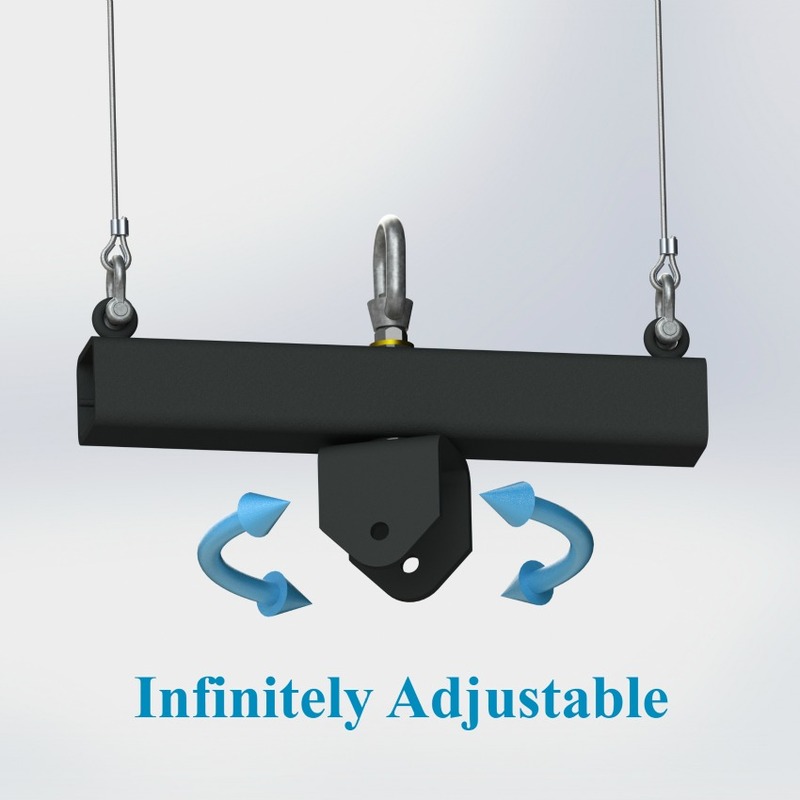 Allows for a cluster in portable or installation application to be safely lifted/supported by a pair of hoists, with pan control. Working Load Limit is 1500 lbs. Also available in other weight ratings. See our PY1-ZBR-1550 Datasheet for more complete information. Redundant Load Points are used in jurisdictions where it is required to have a second load point to support the full speaker load. They are not needed by engineering definition but may be required within some building codes. The RLP components can be added to a Polar Focus matching line array frame or spine frame adapter in the field when the line array frame or spine frame adapter is not supporting the load. See our RLP-X2-1800 Datashseet for more complete information. Allows a cluster to be mounted to a Crank Tower with pan control. See our PY1-CTK Datasheet for more complete information. 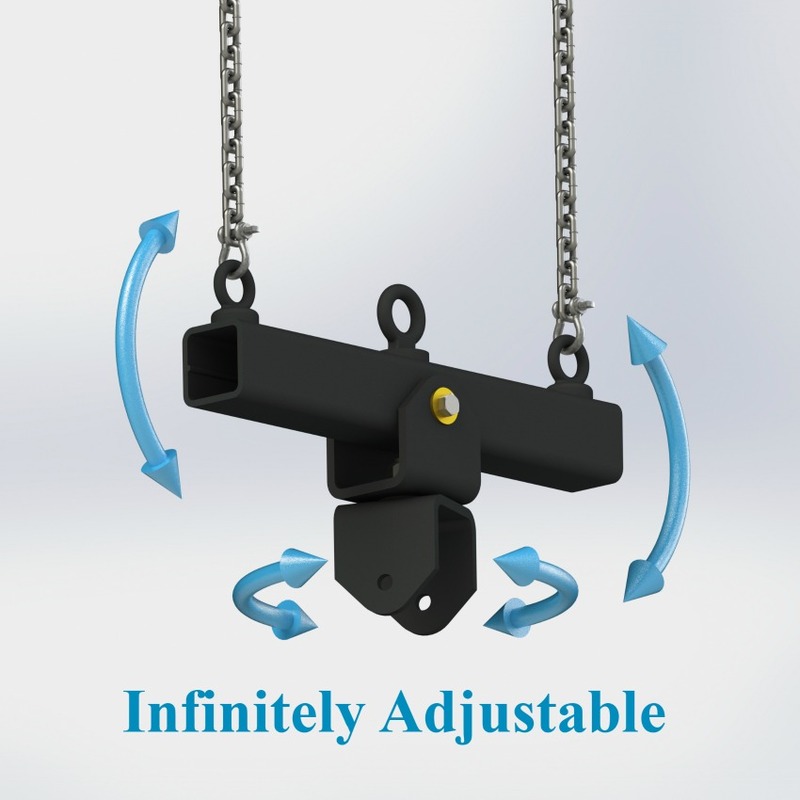 Allows a cluster to be suspended from a single hoist for portable applications with pan control. The included rope can be tied off to a pinrail, balcony or the other cluster. See our PY1-ZB-LARIAT Datasheet for more complete information. Polar Focus designs and manufactures OEM line array frames for several types of professional loudspeakers. Here you will find alphabetical listings for our current line array frames. 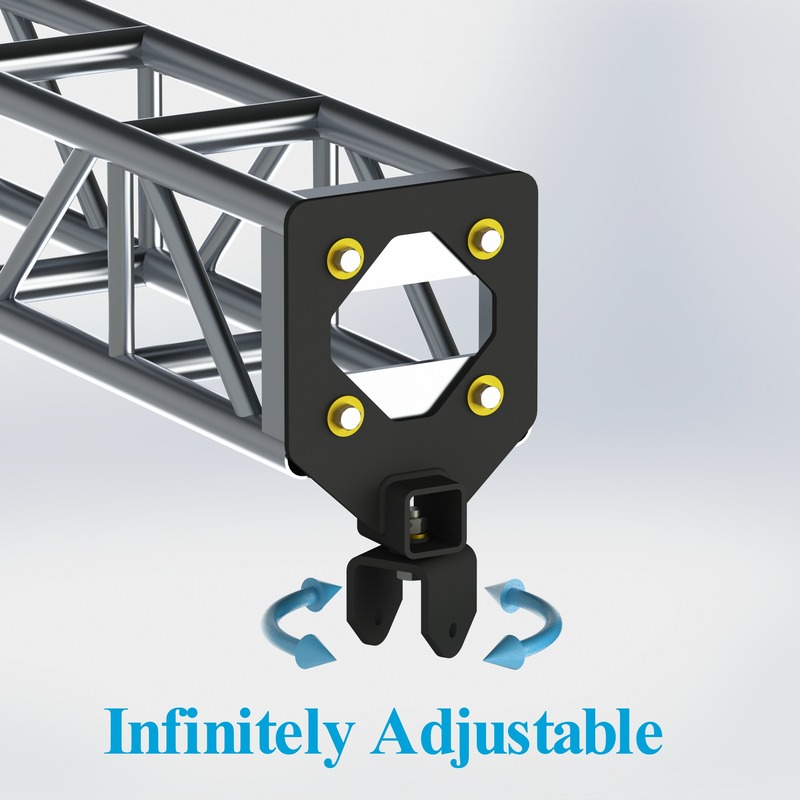 Please see our Spine Frame Adapter, which provides tilt control under full load and works with most line array frames. New OEM inquiries welcome. Provides precision tilt control under full load for Bose® RoomMatch®. Designed to be compatible with Bose RoomMatch Progressive Directivity Array loudspeaker modules. The front to rear depth of the OBO-RM-STINGRAY is greater than the Bose RMAFLG Large Array Frame. The Stingray Frame’s Wiggle PlatesTM allow for incredibly easy and lightning fast mating to the loudspeaker. See our OBO-RM-Stingray Datasheet for more complete information. Glidepoint Frame for Community Professional Loudspeakers IV6. Provides precision tilt control for Community Professional Loudspeakers IV6 modular vertical array loudspeakers. 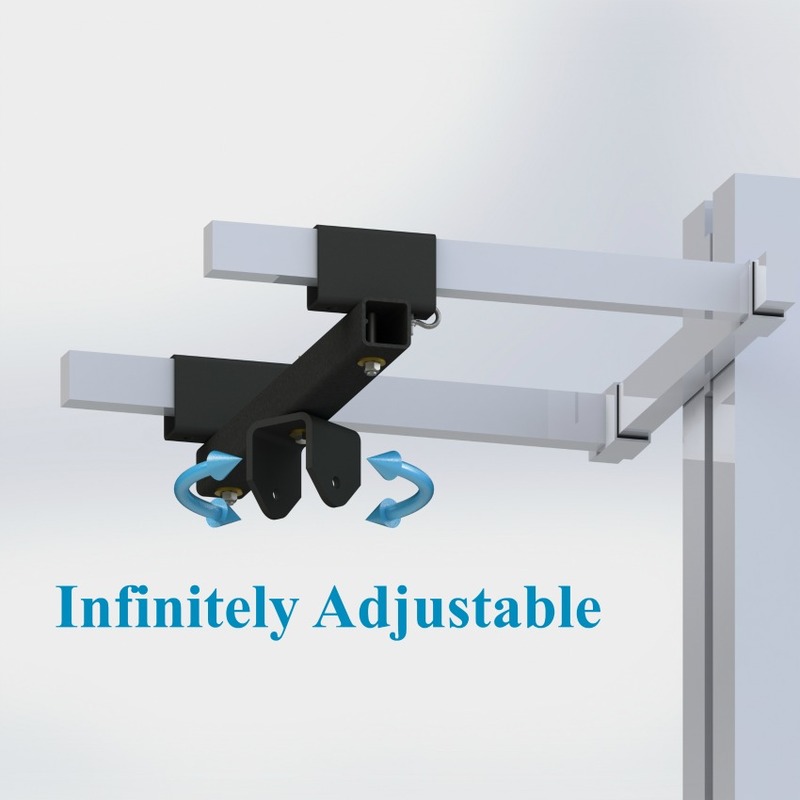 The Glidepoint frame features infinitely adjustable tilt control while under load without requiring re-rigging the cluster, or using chain hoists. When attached to matching accessories, pan angle of the Glidepoint frame can also be adjusted in seconds without re-rigging anything. The Glidepoint frame is available exclusively through Community sales channels. Please contact your Community sales rep for pricing. A full range of accessories is available through Polar Focus. See our OCL-IV6-GP-AF Glidepoint Datasheet for more complete information. The Kestrel frame provides infinitely adjustable tilt control under full load for Fulcrum Acoustic FL283 Subcardioid Line Array Modules. 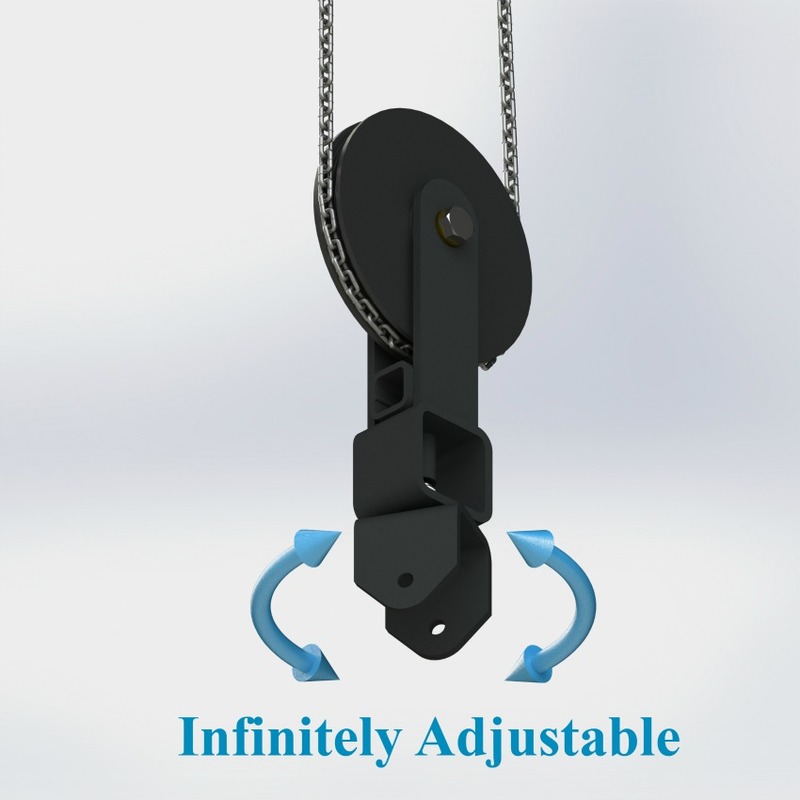 Tilt is adjustable under full load without re-rigging anything, or using chain hoists. When attached to matching accessories, pan angle of the Kestrel can also be adjusted in seconds without re-rigging anything. The Kestrel frame is available exclusively through Fulcrum Acoustic sales channels. Please contact your Fulcrum sales rep for pricing. A full range of accessories is available through Polar Focus. See our OFA-FL283-Kestrel Datasheet for more complete information. Provides precision tilt control for JBL VRX 932 family sub and mid hi loudspeakers. The OJB-VRX-932 features infinitely adjustable tilt control while under load without requiring re-rigging the cluster, or using chain hoists. Same six speaker capacity as JBL Version with sturdy bolted attachment to top speaker. Fits JBL VRX 932LA, 932LAP, 918S and 918SP. 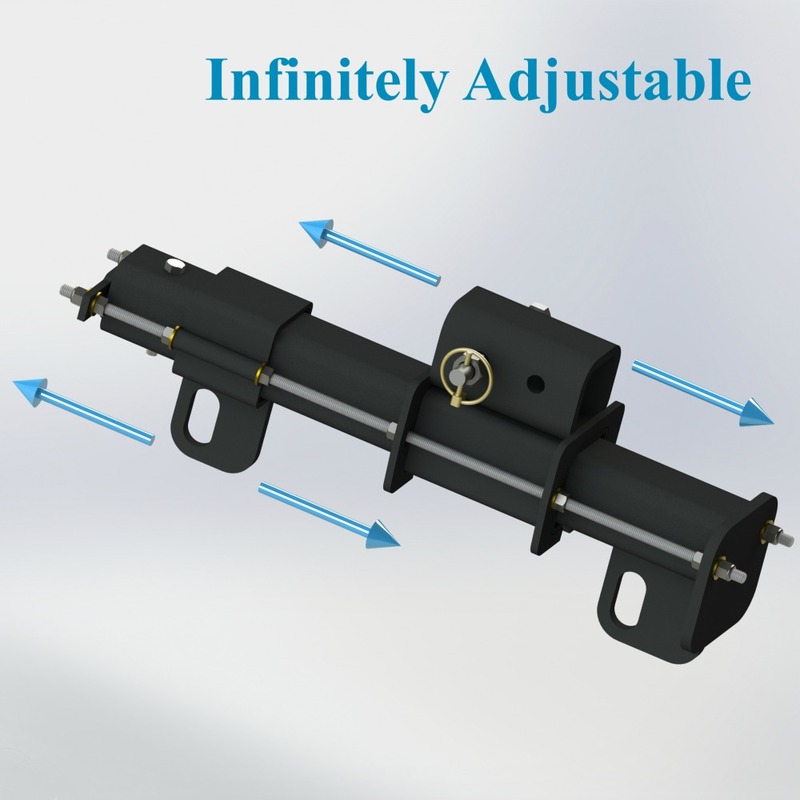 Single-point and multi-point top attachments available. See our OJB-VRX-932 Blackbird Datasheet for more complete information. Polar Focus Raven frame provides infinitely adjustable tilt control under full load for Renkus-Heinz Varia Line Array. 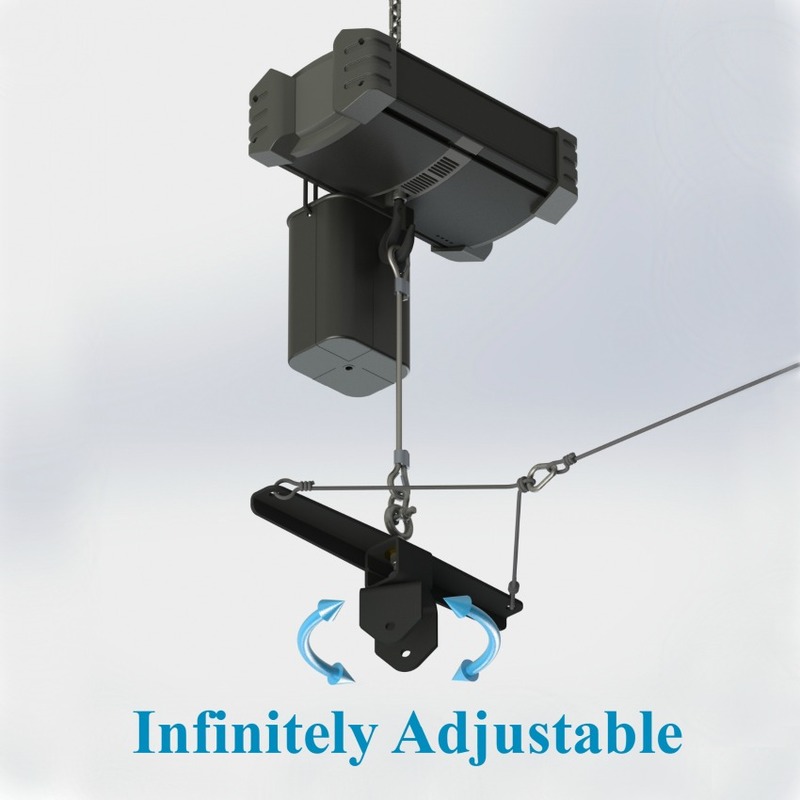 Tilt is adjustable under full load without re-rigging anything, or using chain hoists. When attached to supporting XY Grid® family hardware, pan angle of the Raven can also be adjusted in seconds without re-rigging anything. 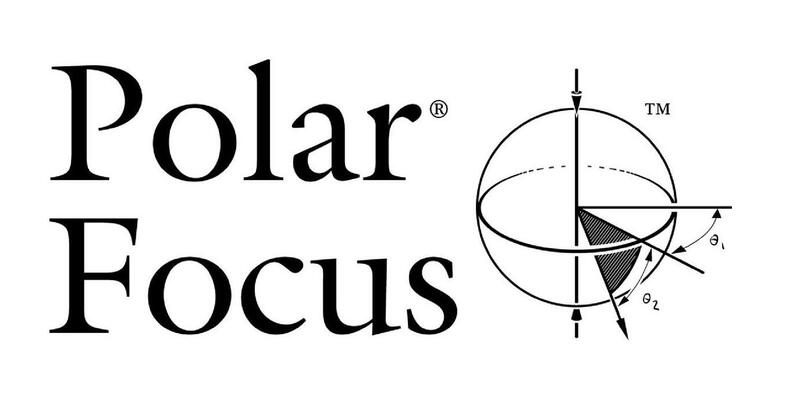 A full range of accessories is available through Polar Focus, simplifying your next system design. See our ORH-VARIA-Raven Datasheet for more complete information. For Bose® RoomMatch® RMS215 subwoofer. Up to Eight RMS215 speakers may be used per array. Any speaker in the array may face forward or backward to implement cardioid sub clusters. See our OBO-RMS215-Hammerhead Datasheet for more complete information. Designed to be used with the Bose® RMXLNG and RMXSRT extender bars, the OBO-RM EXTSPR allows for 9 discrete central pick positions between the extender bars. The entire spreader has the ability to tilt about its axis such that the center eye is always in the plane of lift; providing a safe lifting point over a range of pick up angles. See our OBO-RM-EXTSPR Datasheet for more complete information. See our PM3-IV6-34 Pole Mount Datasheet for more complete information. The Polar Focus PY Quick Disconnect Fitting is a simple yet powerful component designed to allow a broad range of speaker grids and speaker rigging accessories to be quickly pinned to each other. The members of this patented and patent pending family of products are all derived from our XY Grid® System, providing unprecedented control of pan and tilt under full load. Pan control is standard on all PY products and is equipped with a friction bearing. The friction bearing works like your car sun visor; when you push, it turns, when you let go, it stays. If you don’t see what you need listed here, please contact us – we frequently manufacture custom equipment. Polar Focus offers pro audio rigging design, roof attachment, supplemental structure, sales, support and PE stamped drawings for our product scope in any US State. Additional line array frames and manufacturer specific products coming soon. Polar Focus®, Zbeam® and XY Grid® are registered trademarks of Polar Focus, Inc.
Bose® and Roommatch® are registered trademarks of Bose® Corporation.